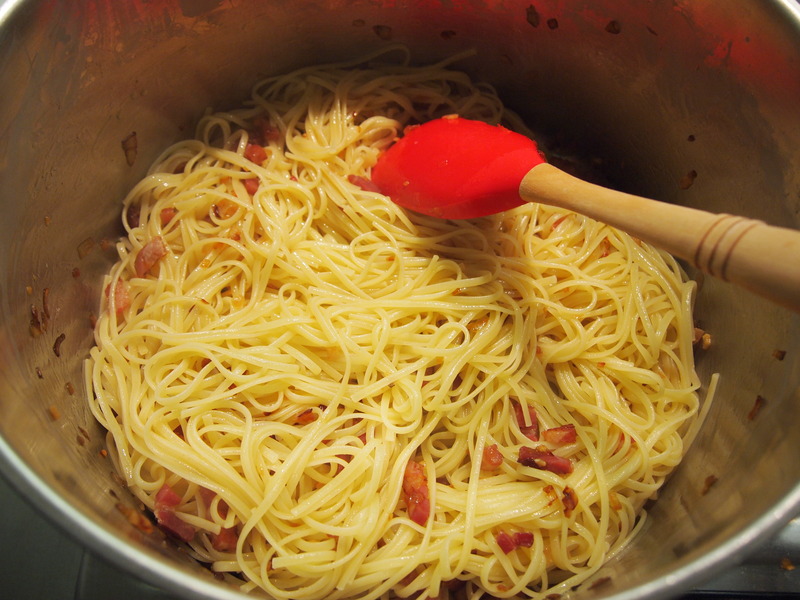 The Roman dish of spaghetti carbonara is one of the most adored pasta dishes in the world and rightly so. It has all the elements that make for perfect comfort food – a silky cheese laced sauce, salty pancetta and of course pasta. This version whilst not really traditional in that it incorporates crab meat, is still authentic in its execution i.e. it is made with pancetta, eggs and cheese – no cream please! 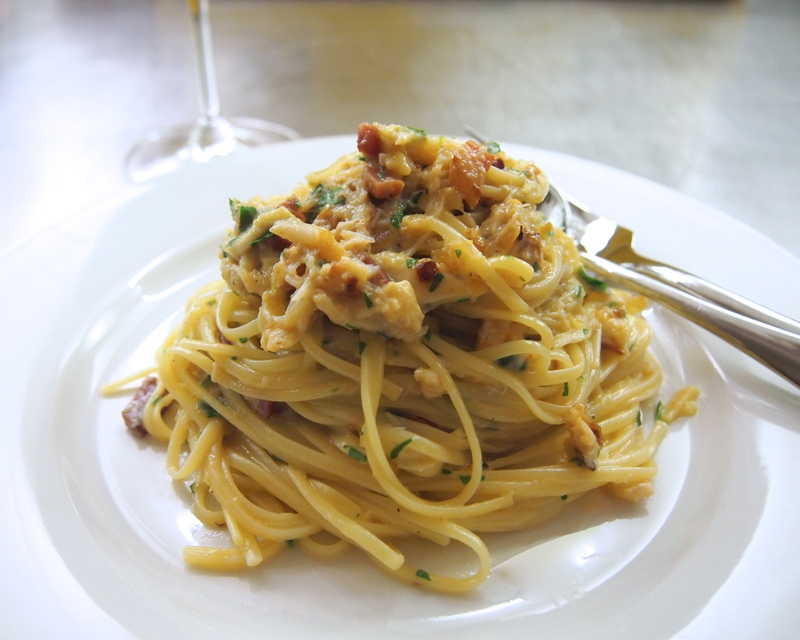 The inclusion of crab meat makes this carbonara a little more special which is great if you’re entertaining and want to take things up a notch. 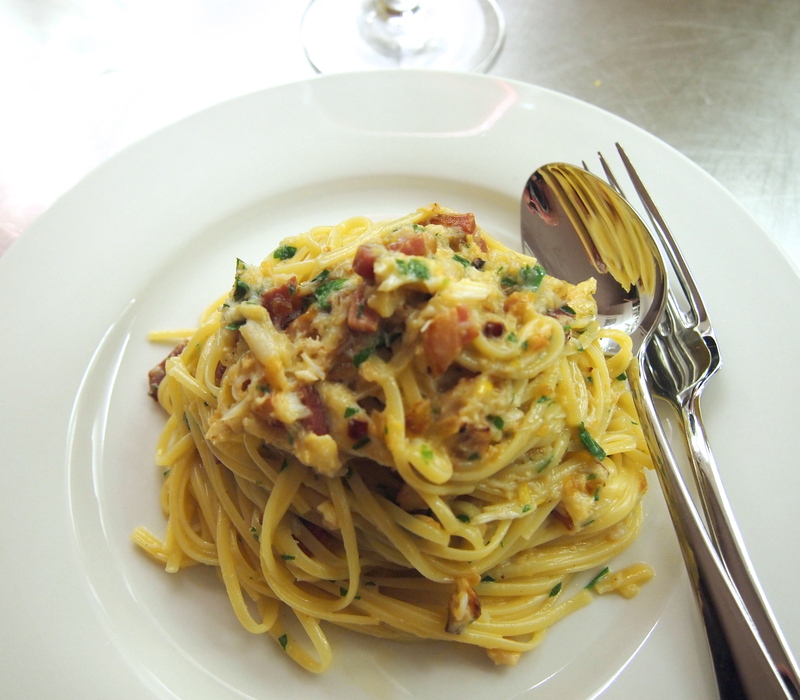 Carbonara is normally served with spaghetti but in this instance I used linguine which I think works well with the crab. Whilst I love a traditional carbonara this crab meat version gives a nice little twist to a much loved classic without ruining its integrity. 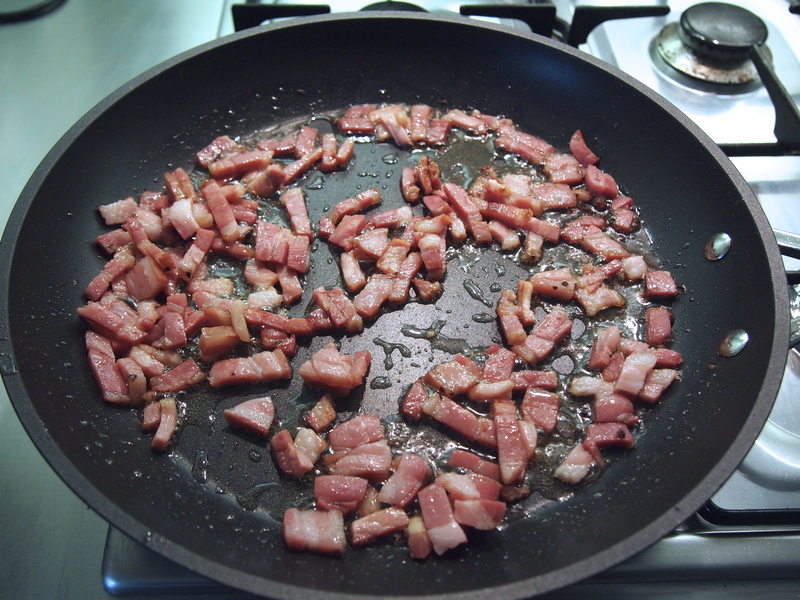 Heat the olive oil in a sauté pan or skillet over medium-low heat. 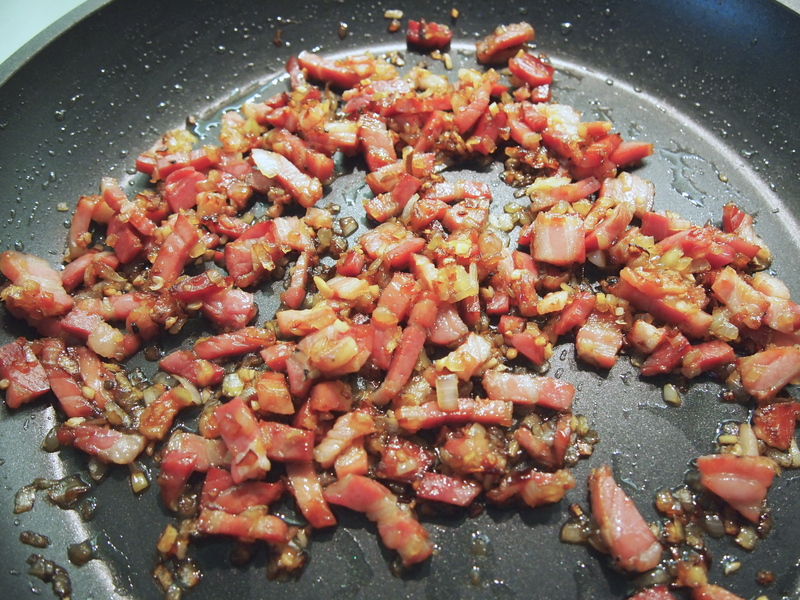 Add the pancetta and sauté just until beginning to turn golden brown, about 5 minutes. Add the shallots and garlic and sauté until the shallots are golden brown. Remove from heat and set aside. Whisk together the eggs, Parmesan, parsley, salt, and pepper (be generous with the pepper) in a large bowl. 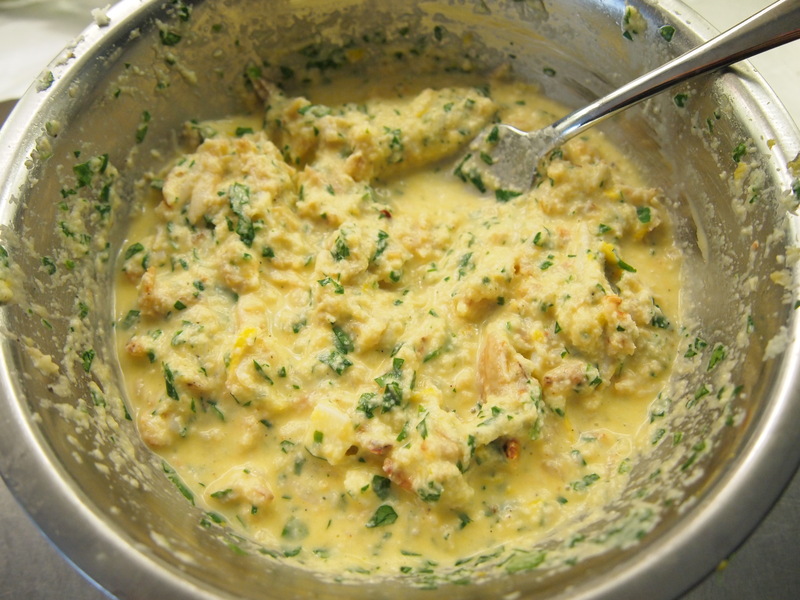 Add the crab meat, the lemon zest and juice and stir to combine.